Vintage … and much more! With its unmistakably unique exterior and its inimitable sound, the microKORG set the standard for analog modeling synthesizers. 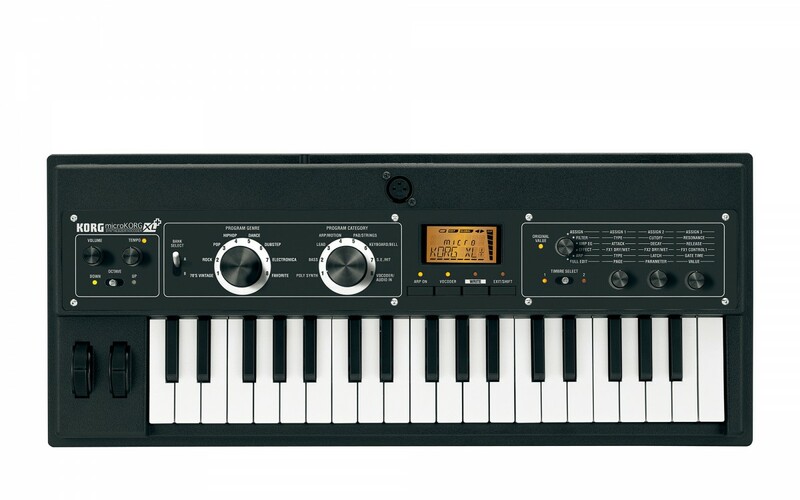 The year 2008 saw the introduction of the microKORG XL, which inherited the microKORG’s fat and powerful sounds, while adding keyboard staples such as electric piano and CX-3 organ. And now, in the next evolutionary step, the microKORG XL+ delivers a fresh update to the sounds and look of the microKORG XL, making it an ideal compact keyboard. Lush analog modeled synthesizer sounds that are characteristic of the microKORG have been freshly added to the microKORG +. 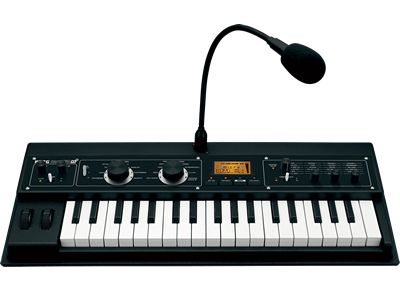 In addition, for band use, the microKORG XL+ comes equipped with the piano sound from Korg’s classic stage piano, the SGproX (famous for its ability to stand out in your band’s mix), as well as its hard-edged grand-type electric piano. This compact package also includes sounds from the M1 and the VOX organ, vintage tape-type string and flute machines, as well as other gorgeous sounds from keyboard history. Of course, these sounds can be played full-range like the originals that inspired them, either by using the onboard octave switch, or by connecting your choice of any MIDI-capable full-sized keyboard of choice. Each of these 128 programs are genuinely inspiring sounds, giving the microKORG XL+ plenty of variety to serve as your main keyboard or as a secondary keyboard in your rig. The new microKORG XL+ has been updated with a new set “music genres” to fit today’s evolving music scene. 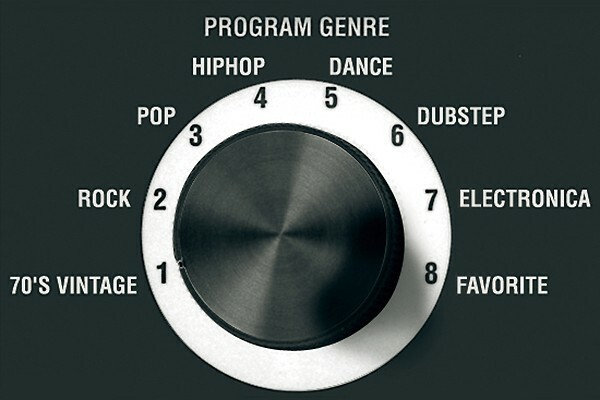 Now you can select a program that matches your song more intuitively than ever. 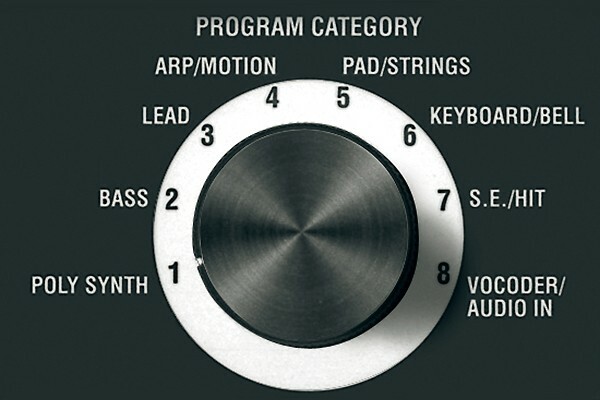 For even more convenience, you can also leave one of the dials fixed and use the other dial to make program changes during a song (music genre fixed), or use the dial to select Vocoder variations (instrument category fixed). 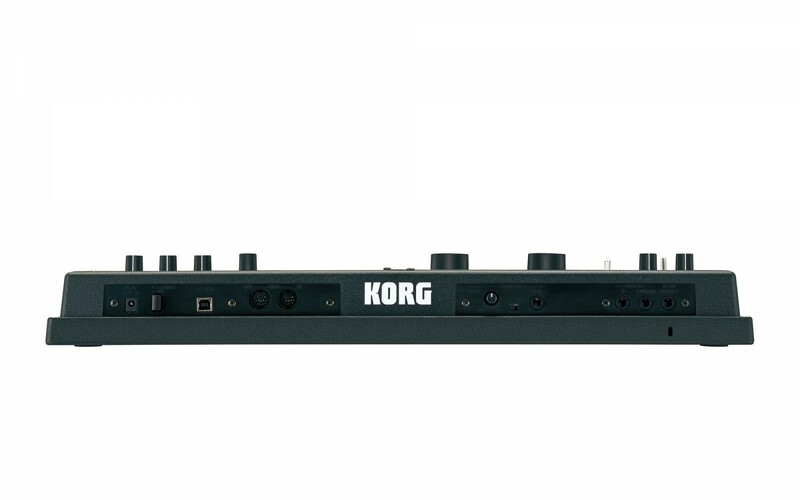 The microKORG XL+ projects a style that’s reminiscent of vintage electric pianos, featuring a futuristic and simultaneously retro design with a stylish black panel and knobs. High-quality parts such as metal levers, dials that move with an audible click, and knobs with a sturdy operating feel are some of the ways that the microKORG XL+ outclasses other instruments in its range and enhances your experience editing synthesizer sounds. 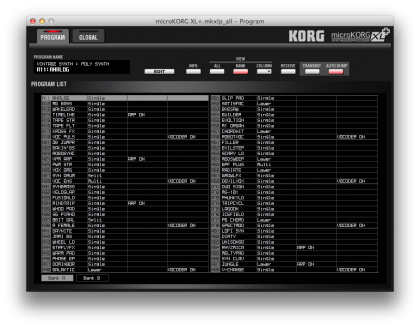 The microKORG XL+’s sound engine uses MMT (Multiple Modeling Technology), borrowing from Korg’s well proven wealth of analog modeling technology. 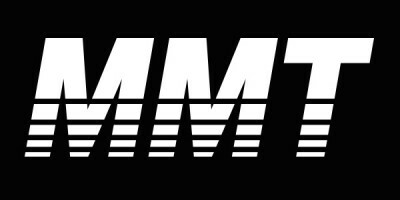 The MMT sound engine has been featured on numerous products, and provides two oscillators that generate huge powerful sounds. Oscillator 1 gives you a total of seven types of oscillator algorithm to choose from, including formant waveforms such as human voice, and PCM/DWGS waveforms for vintage keyboard and strings. It also lets you use techniques that cannot be imitated on typical PCM synthesizers, such as cross modulation, unison, and VPM (Variable Phase Modulation). By taking advantage of modulation (sync or ring) with Oscillator 2, it’s easy to create complex and powerful sounds. 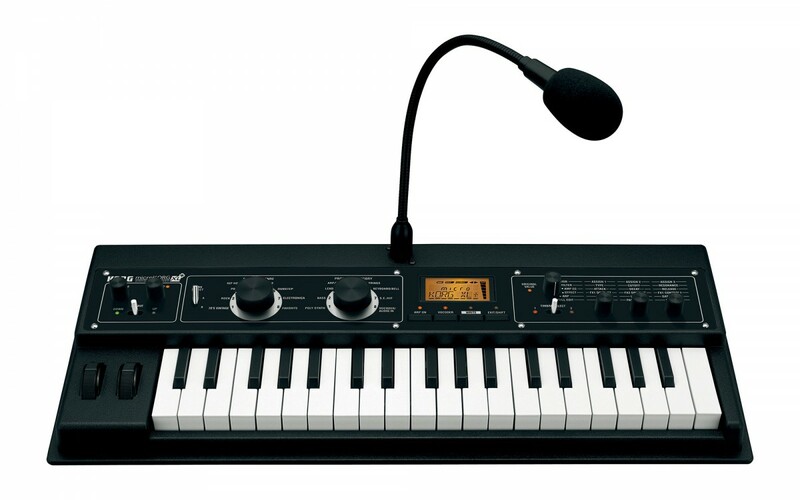 The microKORG XL+ can function as a powerful Vocoder that lets you connect a mic and use its audio input to shape the tonal character of the oscillator’s sound to create “talking” effects. The Vocoder consists of a 16-band filter bank that can simulate the Vocoder sounds of the past and also shift the filter frequencies (Format Shift function) or adjust the level and pan of each band to dramatically change the overall sonic character. Using the Vocoder is an easy way to add sounds that can be found in today’s popular electronic music. 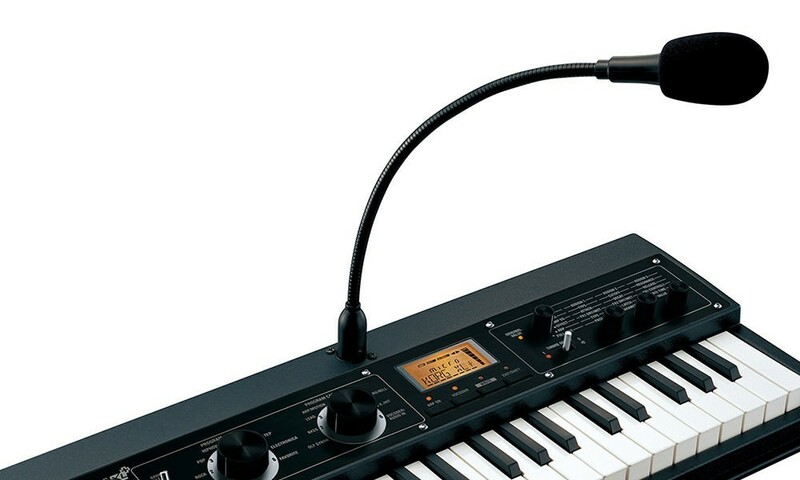 Since a gooseneck microphone is included, you can immediately start using the Vocoder in your songs. Two master effects utilize the effect engine that was brought to perfection in Korg’s Kaoss Pad series, giving you a total of 17 powerful effect types including delay and echo effects as well as dramatic effects such as ring modulator and grain shifter. In addition, effects such as delay can be synchronized to MIDI clock for a wide range of possibilities in live performance. 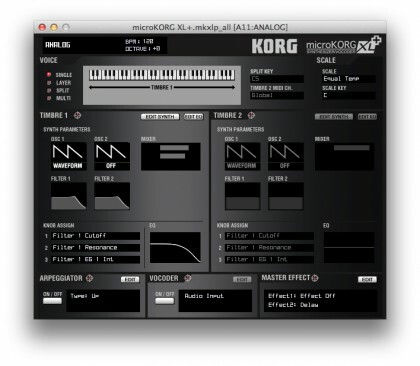 *Simply download the “Editor / Plug-In Editor” software from www.korg.com or from your local Korg distributor. 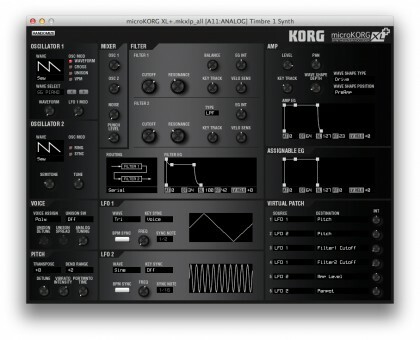 *The Editor / Plug in Editor for the “microKORG XL” will not function correctly with the “microKORG XL+”. Expanding upon the existing bonus banks for the original microKORG XL, this new set includes sounds which showcase microKORG XL +’s updated PCM sounds. Programs featuring Tape Flutes/Strings, The SG Piano, and VOX organ are all present and ready to use with a quick twist of the dials! Venturing into the darker side of the microKORG XL+ sound engine, the Korg UK bonus bank features an exotic mix of new programs and sound effects, including essential Dubstep signature sounds, throbbing basses, gritty lead sounds, analog drum hits, monotron emulations, classic analog synths along with a variety of hard hitting sound effects. The microKORG XL+ as you’ve never heard it before!